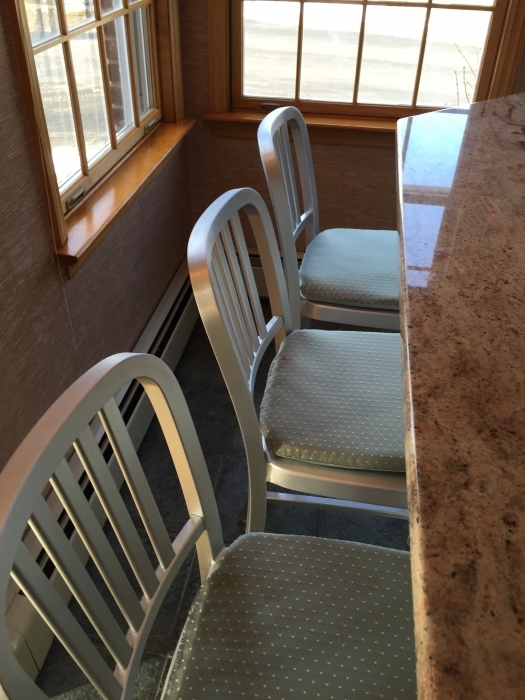 The Aluminum Cafe Counter Stool is both stylish and versatile. 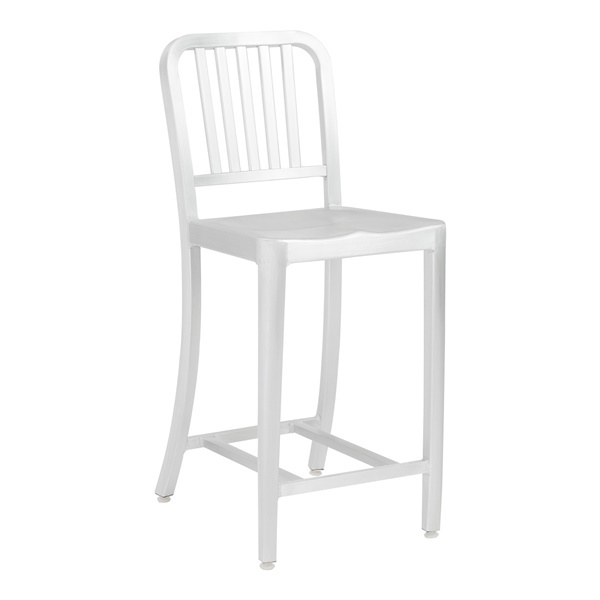 This chair has a modern, industrial look that will add a new element of style to your home. It can also be used outdoors, bringing your sense of simple modern to your deck or patio. This modern counter stool is made of lacquered aluminum with a brushed finish. It works great alongside a counter or high table, offering a simple and stylish solution to modern dining. We were a little skeptical about buying counter stools online. We shopped around locally and couldn't find anything that we liked in terms of comfort or style. Much to our delight these stools are comfortable and fit right into our decor. The aluminum blends with stainless steel and with our white cupboards as in certain light, the stools look like. They are a little cool on the buns, but I made some chair pads to warm them up. We breathed a sigh of relief when we opened the boxes and everyone seems to like them! Gives that classic Design feel at a great price. Very lightweight. 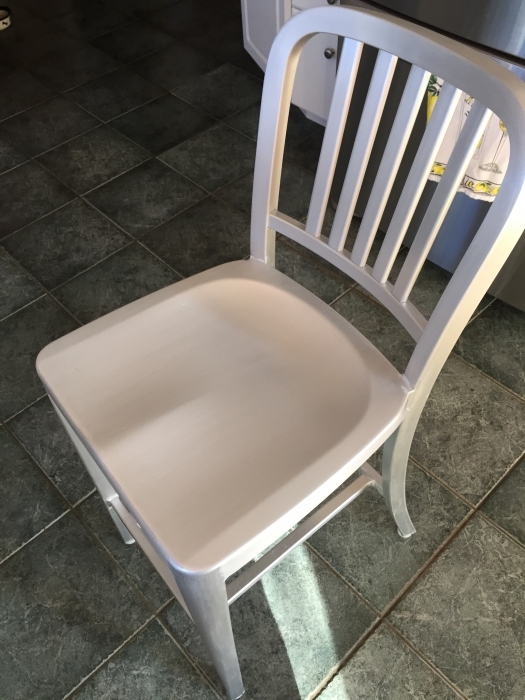 They are exactly what we wanted for our kitchen/den counter chairs. ConsCold in Winter until your bottom warms it up Or you could add a cushion. However since these are in Texas, it's not an issue for us. This is quite a sturdy stool and it is lightweight. It is rated for up to 300 lbs.